An online forms management tool for schools. Collect information, payments, donations, enquiries and more. 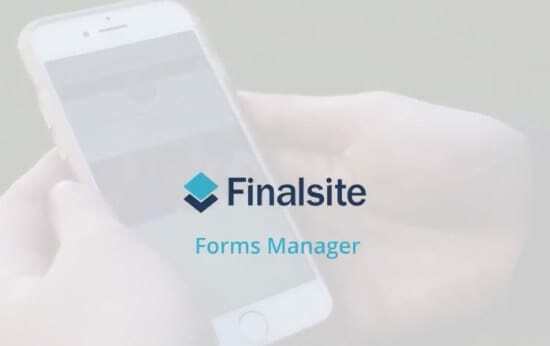 With a single tool you can create responsive, online forms for virtually any need, including online donations, volunteer forms, lunch menu order forms, job applications, event RSVPs, online enquiries, and more. Forms Plus enables you to create a form for any school event that requires registration for entry – such as a school play, sporting event, or off-campus trip – but does not require managing the schedule of attendees. Manage RSVPs, set seat counts, sell tickets, and much more! Build simple forms to collect information and create convenience with Forms Manager. Forms are easy to build with drag-and-drop functionality, template creation, cloning, and the ability to save commonly used elements. Manage school events requiring registration and seat counts with Forms Plus. With Forms Plus, you'll be able to sell tickets, collect payments, manage RSVPs, and set a maximum capacity for the amount of tickets sold. For events with different sessions, such as beginning-of-the-year training events, please see more information on our event management module, Registration Manager. Export reports to XML, XLS, and more! "Forms Manager provides a simple and streamlined approach to online giving that makes it easier for our team and our donors." Collect information, payments, donations, inquiries, and more with Online Forms. This datasheet includes a brief overview of the Online Forms module, a checklist of features and benefits, and product screenshots.